Hospital. 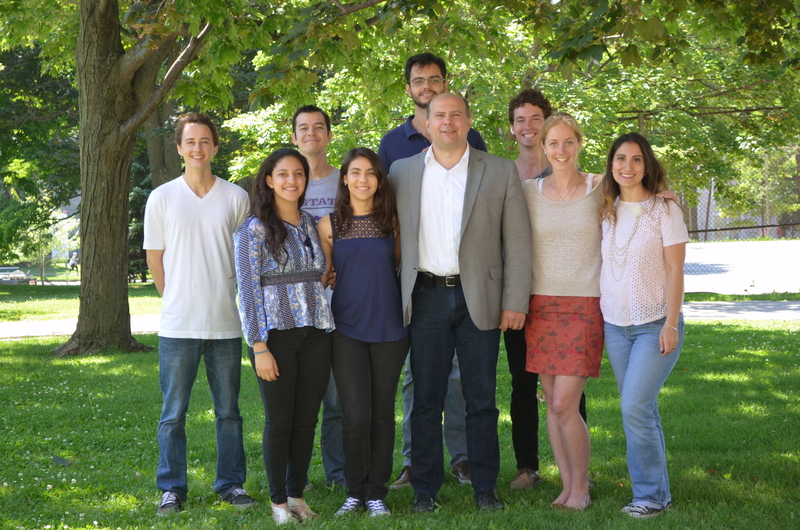 He was recruited to Queen's University through a New Clinician Scientist Program of the Southeastern Ontario Medicial Association (SEAMO) in 2013. 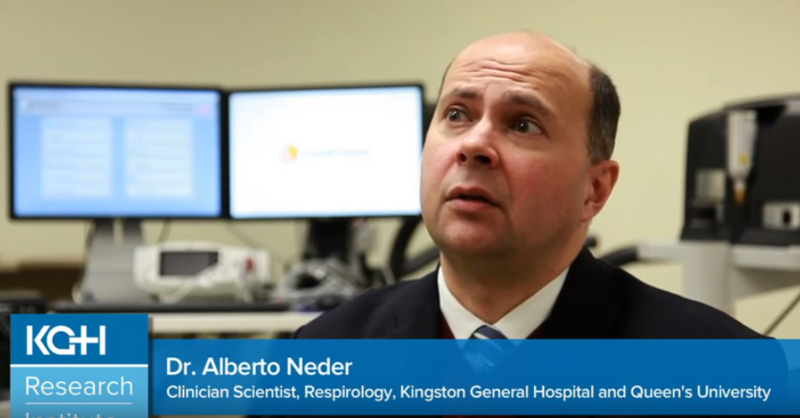 Dr Neder has a specific interest in the cardio-circulatory and respiratory interactions that support oxygen transfer from atmospheric air to cell mitochondria. Using physical exercise as a systemic stressor, Dr. Neder and his associates have been successful in elucidating the mechanisms and consequences of abnormal oxygen delivery and utilization in chronic cardiopulmonary diseases. These lines of research have the ultimate goal to develop and test novel pharmacological and non-pharmacological interventions to improve patients’ quality of life. Dr. Neder has been a senior author in over 120 peer-reviewed papers and has authored many book chapters on respiratory and exercise physiology, pulmonary rehabilitation and integrated care in chronic respiratory diseases. His book on “Clinical Exercise Physiology: Theory and Practice” is widely used as a reference text in his home country of Brazil and remains the only Portuguese-written textbook on the field. He has extensive experience in training research personnel from undergraduate to post-doctoral levels. Ingrid completed her undergraduate and graduate degrees at the School of Kinesiology and Health Studies at Queen’s University. Her MSc in exercise physiology focused on the acute effects of stress on the cardiovascular system. Following this, she was a professional yoga teacher for two years in Canada and France. She is happy to be returning to her roots as a research associate in Dr. Neder’s Laboratory of Clinical Exercise physiology. Ingrid continues to teach and practice yoga in Kingston. She loves healthy eating, exercising and spending time outdoors. Luiza Castanhas received her Bachelor in Physiotherapy from Londrina State University in 2008 and it is a licensed Physical Therapist in Brazil. In 2012 she gained experience in the University and Research environments working as an Administrative Assistant at Kansas State University’s Anatomy & Physiology Department. Since 2014, Luiza has been working as a Research Assistant in the LACEP under the supervision of Dr. Neder, where she is involved in several ongoing projects. Daniel’s main research interests revolve around the mechanisms determining skeletal muscle oxygen delivery-utilization matching in health and disease. Emphasis is directed toward a) the role of nitric oxide (NO) bioavailability in modulating muscle microvascular oxygenation during transitions in metabolic demand and b) the exploration of novel pharmacological and non-pharmacological therapies to mitigate microvascular oxygenation deficits in chronic heart failure (CHF) and chronic obstructive pulmonary disease (COPD). Marianne is an international exchange student from the University of Brasilia. She is currently completing her PhD in technologies for rehabilitation of individuals with cardiovascular and pulmonary diseases. Her MSc focused on the physiological mechanisms of exercise in chronic cardiac insufficiency and healthy controls. During her studies at LACEP, Marianne is hoping to elucidate the metabolic and behavioral variables in patients with cardiopulmonary diseases. Josh's interest in the respiratory system was facilitated by his co-supervisor, Dr. John Fisher, and several distinguished professors throughout his undergraduate studies in Life Sciences. Upon completion of his degree, he was drawn towards the Laboratory of Clinical Exercise Physiology (LACEP) because of Dr. Neder’s comprehensive approach to studying chronic cardiorespiratory diseases and the novel techniques used to characterize them. After current studies are completed, he would like to investigate the integrity of the “air-blood barrier” in the early stages of cardiorespiratory diseases using new and non-invasive pulmonary function tests. Outside of the lab, he is a teaching assistant for undergraduates, occasional lab demonstrator for medical students, and frequent jogger along the Lake Ontario shoreline. Joel is a MSc. Candidate in Experimental Medicine, with the specific interest of the cardiovascular responses to exercise in health and disease. Having completed an undergraduate degree in Kinesiology with research in hypoperfused exercising muscle, Joel was naturally drawn towards the Laboratory of Clinical Exercise Physiology (LACEP) under the supervision of Dr. Alberto Neder. At LACEP, Joel has hopes of elucidating systemic vascular dysfunction in mild-to-moderate COPD patients and provide evidence for the use of early pharmacological and non-pharmacological cardiovascular interventions.